The casual observer might think that betting with sportsbooks is limited to betting on sports. The experts know that is clearly not the case. Sportsbooks offer countless betting options for all types of different sporting events but the majority of sites also offer casino games including poker, blackjack and roulette. One of the more popular additional betting options is the ability to bet on politics and the entertainment industry. Here is a look at how those additional options works. 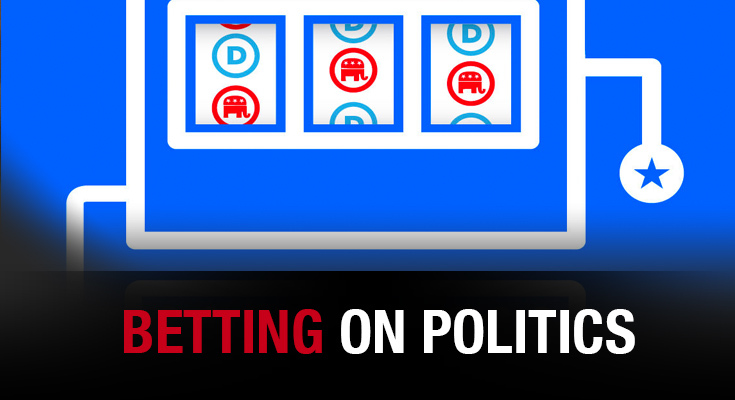 Betting on politics usually isn’t a regular option on the markets but it is used for major events in the United States like the Presidential Election. Most sportsbooks will offer odds on who will become the president of the United States, but there are other options available if you shop around and find the right spot. Certain sportsbooks will list odds for who will win certain primaries as well as who will be each party’s nominee and even posted lines on a potential third party/independent run. Most of the political betting is focused on the American Presidential election but certain sportsbooks will post odds on their local politics, depending on where they are based. For example, the sportsbooks in the United Kingdom will post odds on who will be the next mayor of London or who will be the country’s next prime minister. Still in the UK, some recent data shows that over 67% of customers who backed Brexit are backing Trump to become the Next President of the United States. Trump advocated Brexit in the build-up to June’s referendum, which saw the majority of Britons vote to leave the European Union, and Nigel Farage has been lending his support to the Republican candidate’s presidential campaign. Now, bettors who backed Brexit and made money against the odds believe Trump could pull off a similar surprise across the pond tomorrow. Hillary Clinton’s chances of becoming the 45th president of the United States looked pretty solid heading into the final stretch of the campaign. However, reports Friday afternoon that the FBI is investigating newly found Clinton emails have changed that sentiment and drastically affected the odds. With two weeks left in the campaign, Clinton was a -550 favorite to Donald Trump’s +350 odds. After the new email news broke, the former Secretary of State was listed at -300 with Trump’s odds increasing to +200. In terms of probability, -300 means the books give Clinton a 75% chance of becoming president compared with an 85% chance at -550. For Trump, the change increases the implied probability from 23.5% to a 33% chance that he’ll win the election on November 8. While the reaction on the oddsboard has been swift, the effect this news will have on Clinton’s poll numbers – and the overall effect it will have on the election itself – is yet to be seen. Join WagerWeb.ag and get action on the biggest selection of sporting leagues in the market as well as special events.